In the dark days of 1942, whilst Leningrad was under siege by the invading Germans, the young composer Dmitri Shostakovich was writing a symphony that would not only become one of the greatest pieces of music of the 20th century, but would also play a direct part in the battle. Writing to the sound of air raid sirens and anti-aircraft batteries, Shostakovich immortalised the city’s struggle in a massive masterpiece that is explosive, emotional and defiant. So important was it to the city’s morale that the Russian Army bombarded the German positions to prevent them from disrupting the symphony’s première. And when the first notes sounded, they were fired into no man’s land by a battery of loudspeakers. Shostakovich’s Seventh Symphony, the ‘Leningrad’, comes to the Royal Concert Hall on Wednesday 9 November, performed by the City of Birmingham Symphony. It’s set to be one of the biggest orchestral events of recent years – Shostakovich employs a huge orchestra to match the symphony’s epic length of around 70 minutes and its potent mix of power and poignancy make it an awe-inspiring experience when heard live. 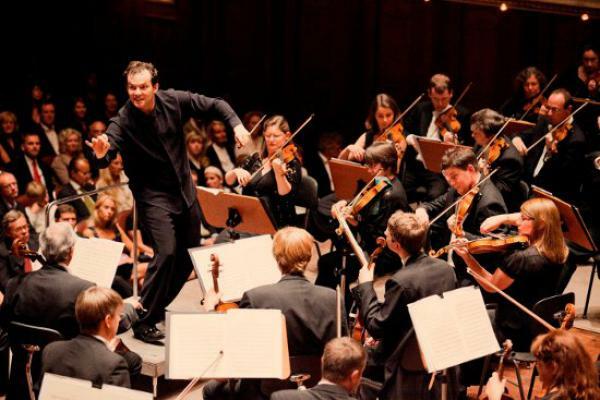 Commanding the troops for this concert is the CBSO’s inspirational Music Director, Andris Nelsons. Still in his thirties he’s been acclaimed throughout the world for his gripping performances, particularly of Shostakovich’s music. And offering some calm before the storm of is Mozart’s sublime 4th Violin Concerto, performed by the brilliant Latvian violinist, Baiba Skride. The concert starts at 7.30pm on Wednesday 9 November. Tickets are £10 - £32 and are available from the Box Office on 0115 989 5555 or online at www.trch.co.uk/nottinghamclassics.